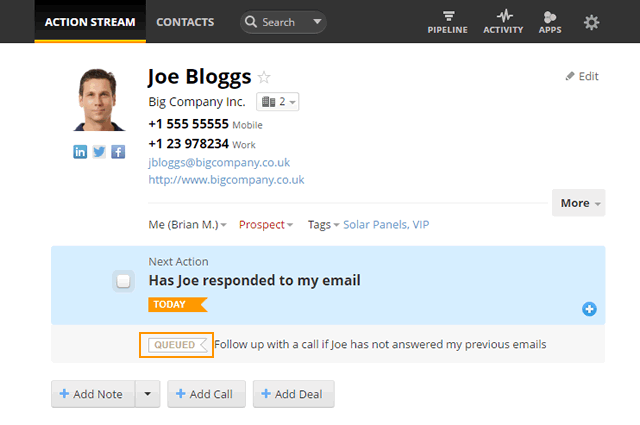 Queued actions are a great way to add action reminders to a contact. They are used when you already have a Next Action assigned to a contact. 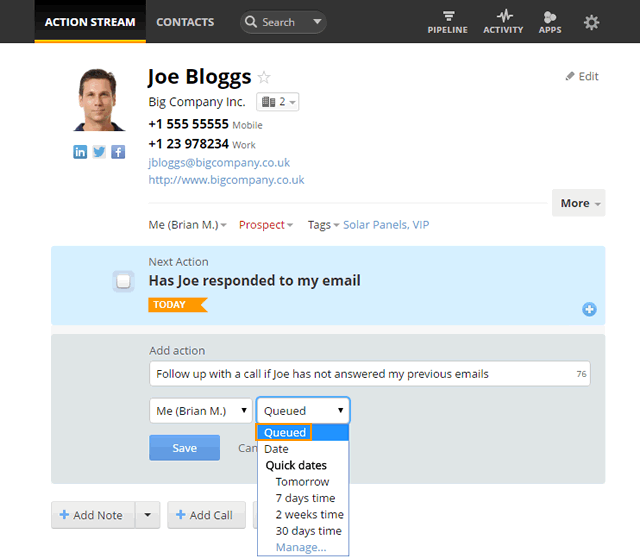 Add your most urgent action as a Next Action and the rest as queued actions so you don't miss out on following up! 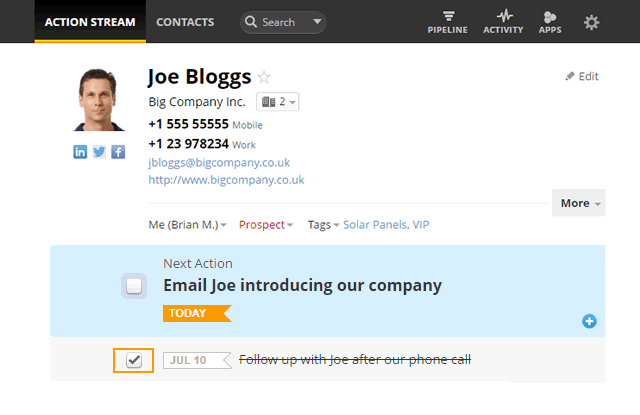 Open a contact and select the blue + icon in the Next Action box. 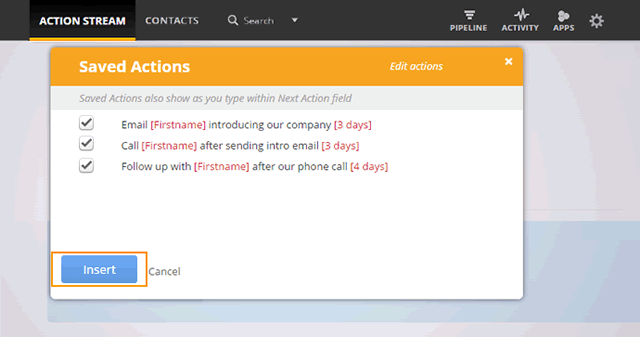 Enter the action's details in the Add action box. You can choose to assign a queued action to yourself or to another user on the account by selecting their name from the drop down. Choose to make this Queued (without a date) or to set a date click Date from the drop down. Queued actions will appear below the Next Action box. The first Saved Action in your list will appear as a Next Action, the remainder will appear as Queued Actions. 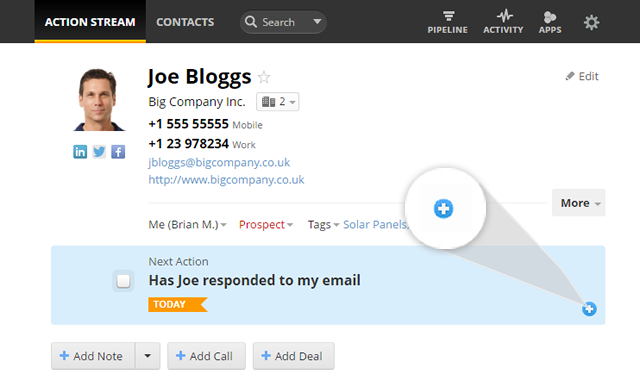 In the contact view, check the box beside a Queued action to mark complete. Completed Queued actions can be seen in the Activity timeline. 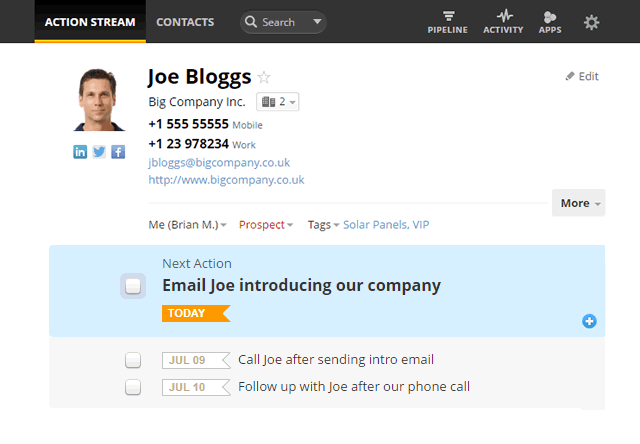 Contacts with Next Actions assigned to you will only appear in your Action Stream. Once you've marked a Next Action complete, you can choose to promote a queued action or an action with a date as a Next Action.